The concepts are intermediate to advanced so basic knowledge of Photoshop is recommended. I use Adobe Photoshop and Lightroom, and Tony Kuyper's TKv4 action panel available on his webiste: goodlight.us Photoshop Elements is not compatible with these videos. All videos are HD 1920x1080 resolution and the download is 1.2 gigs. The total length is 3hrs 50min. 15% discount applied when purchasing both videos! 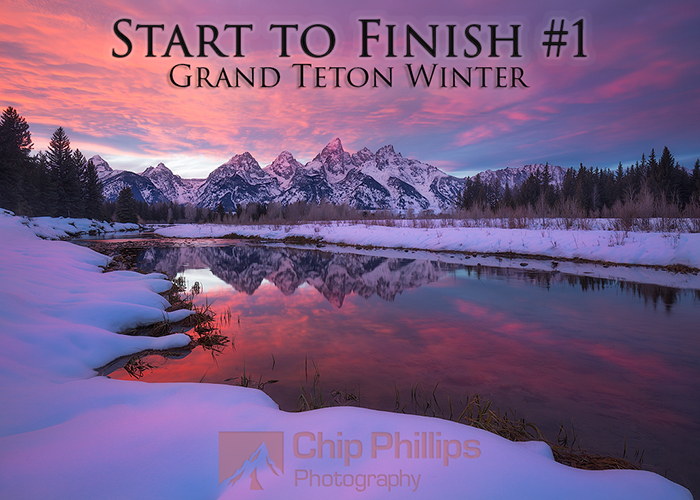 Start to Finish #1 "Grand Teton Winter"
In this video I use Tony Kuypers 16-bit Action Panel V4 and highly recommend having it in your arenal of tools. It is available from his website: goodlight.us Included in this video download are the original Raw files for practice purposes, and my own "Orton Protect Darks" action. Run time is 1hr. Total size of the HD 1920x1080 MP4 dowload is about .5 gig. 15% discount applied when purchasing both videos! "I am a professional photographer and thought I knew how to edit my images in Photoshop. The quality of instruction in Chip Phillips videos has made a significant improvement to my Photoshop editing skills. I highly recommend them." "I have bought tons of materials for image editing. 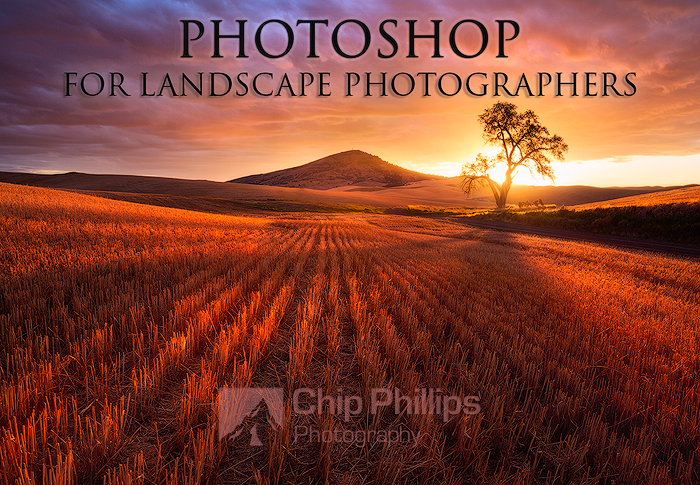 I would say this is the best photo editing tutorial you will ever receive for landscape photography. Thank you very much Chip!" 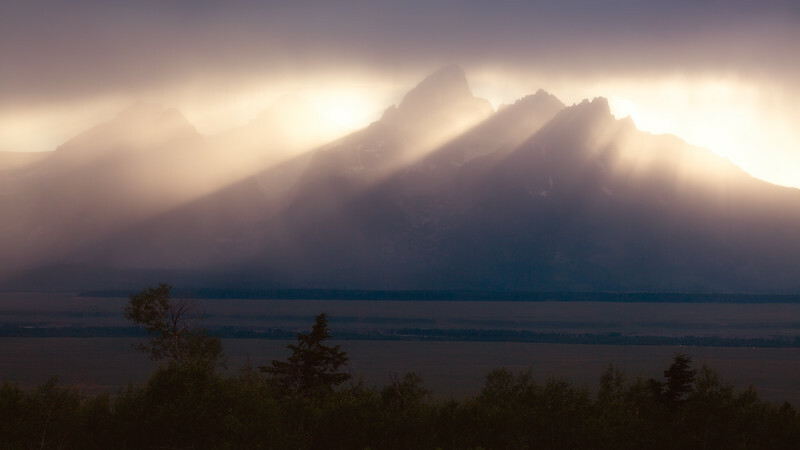 "Thank you for the excellent video on processing the “Grand Teton Winter”. I have always enjoyed your method of teaching…very methodical and to the point without a lot of extra words to complicate it. The examples with TK Actions were very well illustrated and explained. I always enjoy your videos and viewing your work but this video was full of lots of ideas and excellent examples." "I am a retired portrait photographer who practiced for over 25 years. This is the best information I have ever received. I really have a great understanding of what luminosity layers do. In fact, all layers." “Chip, your tutorials have helped take my photography to another level. The valuable tips and details put into these lessons are incredible. Well worth the money spent." "I bought your tutorials and think that they are great. You are a very good teacher!" " I use to buy tons of materials for image editing .. I would say this is the best photo editing tutorial you will ever receive for landscape photography. Thank you very much Chip"
"Your tutorials are simply amazing. Easy to understand and to follow. Thank you so much for sharing. All these years, I wondered what was the secret of professional photographers to submit such beautiful images. Now I know! Now, all I have to do is find those beautiful places. ;) Thanks again! Your work is truly breathtaking. Very inspiring." "All I can say is it's the best tutorial I've ever gotten. I've been searching some years to get well processed images without the ugly touch of HDR and now I have found a way to achieve it. Thank you so much for sharing your knowledge." "Chip... just watched your video. Thanks so much for putting that together. Worth every penny of the $39 and probably a lot more. These images are outstanding and the techniques are really a game changer." "I recently bought your tutorial. I just have to say that it's really good and easy to follow. You are very good at teaching and I sure will buy your next tutorial."